Filmmaking today requires little more than the right story, any camera and computer. Producer Ken Kokin reminded Grand Canyon University students that making movies still requires a lot of time and money, but they have the self-publishing power to get their films noticed. Sure, Kokin said, you need hundreds of thousands of dollars just to get started on major feature-length pictures, but now is the time — with the dawn of personal video cameras and social media — to figure out how to tell compelling stories in new ways. 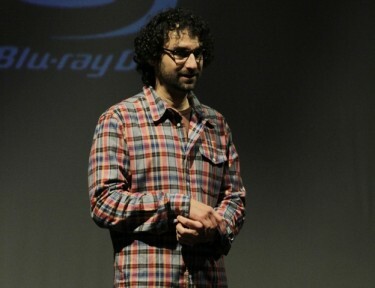 “We have such an opportunity now because cameras are cheap, there’s no film anymore,” said Kokin, the co-producer and second unit director of the Academy Award-winning film “The Usual Suspects,” who shared stories from his film career with an audience of more than 100 GCU students at Ethington Theatre on Friday. Kokin added that when he was starting out in the business, it still cost $5,000 to $10,000 at a minimum to launch an independent film. Now, with so many filmmakers self-publishing shorts and indie films online, an original story is perhaps more important than ever. with actors such as Benicio del Toro and Kevin Spacey. He explained that nearly 35 companies passed on “Usual Suspects” and some wanted a “big” actor other than Spacey for the role of the brilliantly deceitful Verbal Kint, for which Spacey earned an Oscar for Best Supporting Actor. The film also won Best Original Screenplay. Kokin also screened parts of “Usual Suspects” and “The Way of the Gun,” a 2000 crime thriller that never quite took off publically as “Usual Suspects” did. So how do you get your film noticed? First, by the right filmmakers and bank rollers, but, perhaps more importantly, by an audience that will elevate it in popularity. Then there are lower-budget films that still carry an impact, such as “For Tomorrow,” Kokin’s documentary about the TOMS shoe company’s efforts to provide shoes to poor children overseas. More students shot their hands into the air when asked if they’d like to be a producer or director than those who raised their hands to show they wanted to be a director of photography or screenwriter. Yet jobs such as talent agents are some of the most powerful in Hollywood, Kokin said. But he reminded the students that, nowadays, there are few directors who make one key film that burst onto the Hollywood scene effortlessly, without significantly promoting the film. He used fellow University of Southern California graduate John Singleton as an example, with “Boyz n the Hood” in 1991. Now there are so many directors and independent filmmakers, the competition is more significant than ever. Singleton’s fortune with “Boyz n the Hood” is a rarity if not nonexistent with young filmmakers today, Kokin said. The presentation was made possible by GCU digital film production program director Gregg Elder and DFP faculty member Eric Sundt. 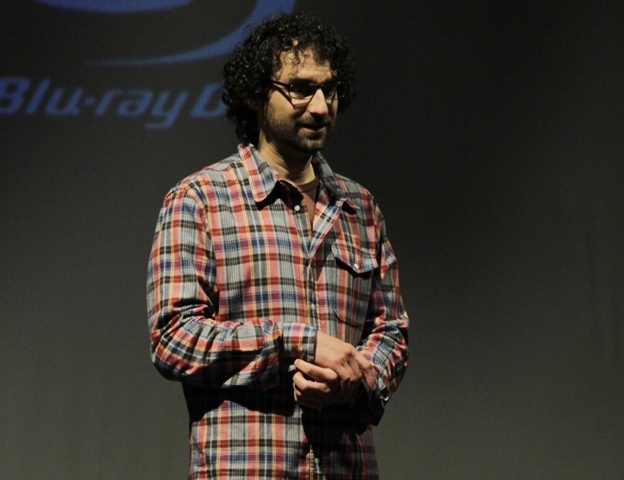 Kokin said he hoped to return to GCU to screen his latest film, “Blood Moon,” which he directed. The film is based on a play by the film’s writer, Nicholas Kazan. Reach Michael Ferraresi at 639.7030 or michael.ferraresi@gcu.edu.